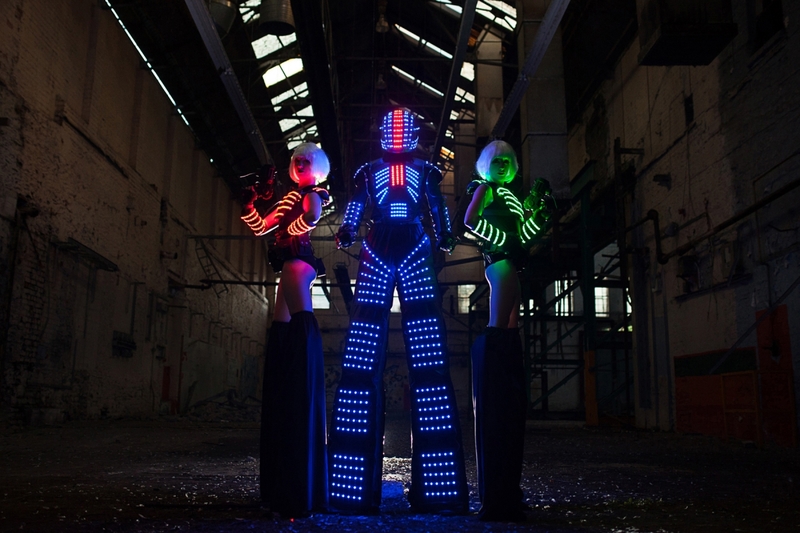 LED glowbots at their best, One of the best light up robot packages in the UK. 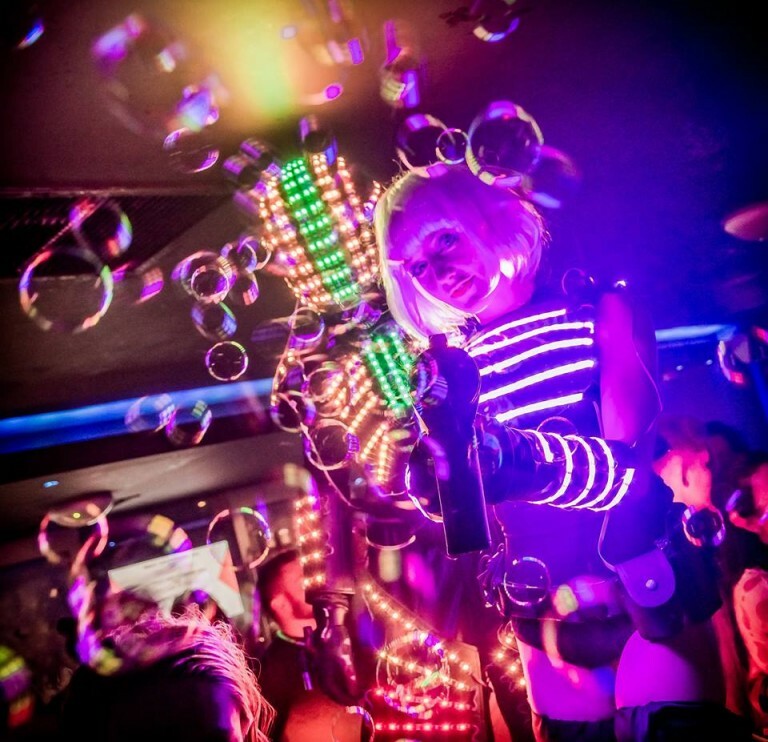 An interactive high impact act designed for clubs, parties and all sorts of private and public events. 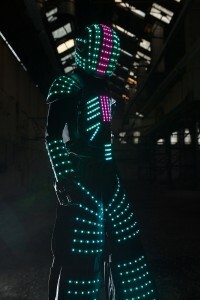 With bright LED costumes and fun props this is very entertaining for all ages. 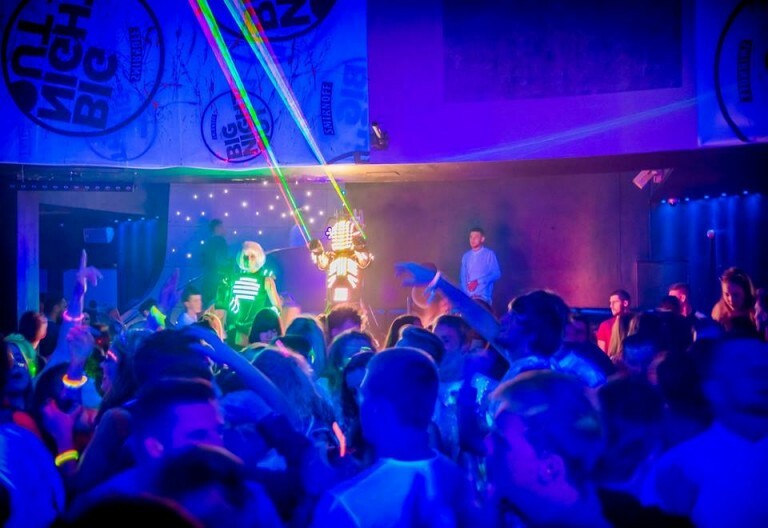 Moonbots also offers LED performances and fire shows with various packages to choose from with fantastic photo opportunities! 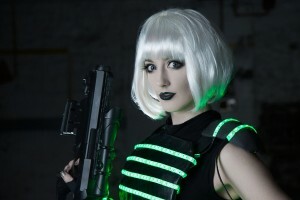 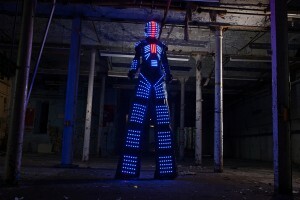 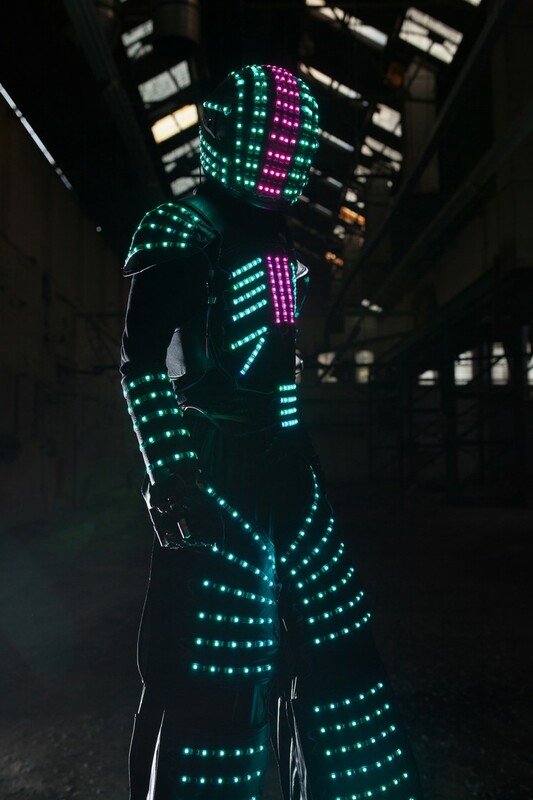 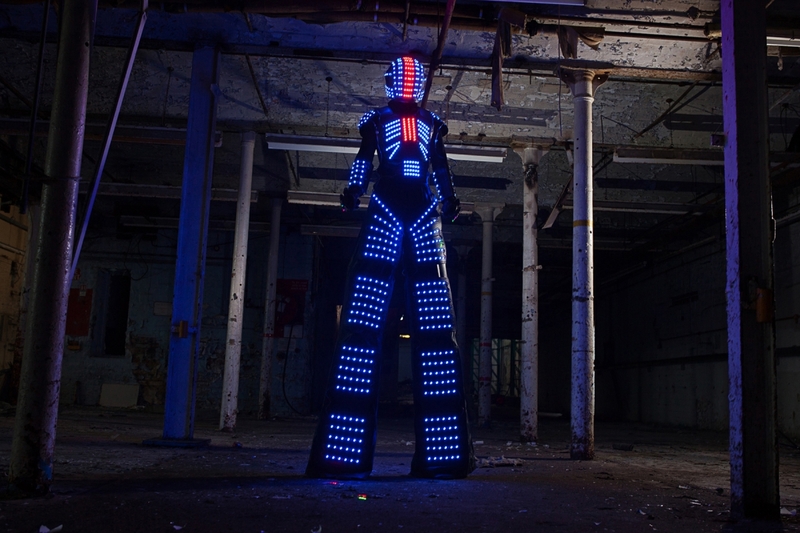 Some of the best LED glowing robots for hire in the uk.